You need a car. You and every single Australian should have a reliable car you can drive for work and pleasure. The only trouble is, it’s not exactly cheap. Question 1: What car are you selling? You may think it sounds strange considering all of the information should be in the ad, but remember that often people forget the important details. Check for consistency and if it has all the features you need. Question 2: How would you describe your car’s condition? Excellent – when the seller says this, the car is either going to be practically brand new or the seller is lying to you. If you find any signs of dishonesty, walk away. You know you won’t be getting your money’s worth. Good – this is the more modest answer which usually indicates an honest seller not wanting to over-hype his/her car. For the same reason outlined above, you’d be able to detect a liar with this answer. It’s alright/okay – this mostly tells you that the seller might not know the real value of his/her car. If you’re lucky, this sometimes indicates a person who’s willing to bargain. People who answer this usually are more honest and timid, or just really want to get rid of the car. Question 3: Why are you selling the car? Don’t be so quick to believe the “a family member didn’t like it” excuse. If it was sold months after purchase then it’s probably a gas guzzler. If the seller tells you that they’d just bought a new car or that it was a parent’s or sibling’s old car, that’s a good sign. This means that they’re more inspired to sell quickly and for cash. Question 4: How long have you owned the car? Along with this comes the question if they owned it from the time it was brand new. If not, who owned it before and how many owners had it before? 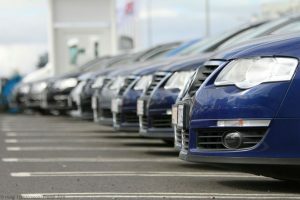 If they don’t own the car, you need to make sure that they’re authorized to sell it. The last place you want to be is in the middle of a squabble between estranged partners. Question 5: How many kilometres has the car done? Ask the seller this first then check what the odometer is reading. Ask for records to back the mileage. Around 60,000km on the odometer is good while anything over 200,000km you might like to consider bargaining hard on. Question 6: Has the car ever been in a crash? If it has been, you’d want to find out which parts were damaged and if/where they were repaired. Check if the repairs are guaranteed and ask for the paperwork that backs this. You’d also want to check on which parts have been replaced and modified. Knowing these things will help you figure out exactly what kind of running condition the car is in. Question 7: Are you willing to let me get this independently inspected? Any honest seller will let you test drive the car, but remember that this is usually limited to 30 minutes or less. This may not be enough time for you to find out any hitches that the car may have. 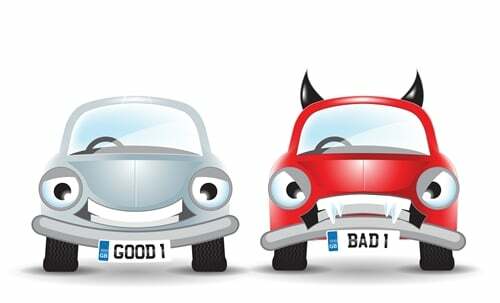 Having the car looked at by an independent inspector will help you see if there are any red flags on the vehicle. If you see any hesitation from the seller, this should set off a few warning bells in your head. They may be hiding certain damages in the car which could potentially cause serious problems for you on the road. The only answer you should accept is “Sure, no problem”. Question 8: How much are you willing to sell the car for? Although there’s a set price in the ad, this tells the seller that you’re trying to negotiate for a cheaper price. If he/s she needs to sell the car soon, you may just get a good discount. There’s no harm in trying because the worst thing that could happen is that they’ll stick to the set price. Just remember to haggle for a fair price if the car is in good condition. Don’t be that guy who tries to dupe everyone for everything. It may seem like a lot of work but getting all of the necessary details ensures that you’re getting value for your money. If you don’t want to go through this process with 50 different sellers, call Alpha Finance! Our team of professionals will be more than happy to give you all the information you need and all the nitty gritty details you’d want know are in the Terms and Conditions. Drive away in that comfortable vehicle you deserve easy peasy with a car finance from Alpha today!